At 10 o'clock on the morning of 30th July, the visiting delegation of Beijing Buddhist laymen, led by two Masters of Longquan Tanhua Monastery, came to the Tanzanian Overseas Chinese Service Center (referred to as OCSC), which is located at the China Community Hall, Dar es Salaam City, to have a visit. 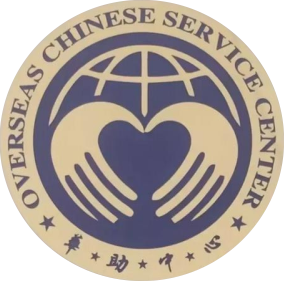 The OCSC is a subsidiary of the Overseas Chinese Affairs Office of the State Council, which is specially established to solve various difficulties and problems for overseas Chinese. Mr. Zhu Jinfeng, Director of the Tanzania OCSC, expressed his warm welcome to the arrival of the Masters and the Buddhist laymen. He hoped that the domestic laymen will have the opportunity to come to Tanzania frequently to provide assistance for the development of the monastery. Master Xianhong, the Superintendent of the monastery, expressed his gratitude to Director Zhu for his strong support during the preparatory stage of Longhua Tanhua Monastery, Longquan Tanhua Monastery and Buddhism is willing to play a positive role in the stability and harmonious development of overseas Chinese in Tanzania. Master Xianhong wished all the work of the OCSC go smoothly and benefit the people. The two sides finally took a group photo together.